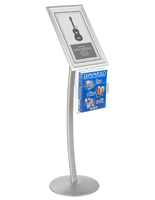 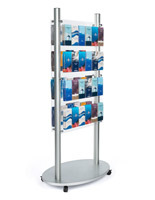 These catalog stands are ideal displaying tools for retail stores offering a variety of publications and reading materials. 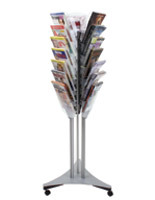 You can also use these stands in a café or waiting area to help organize and disperse complimentary periodicals. 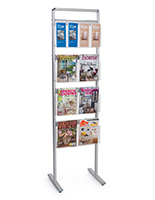 These magazine holders, catalog stands feature acrylic pockets to hold your large format publications, keeping them wrinkle-free and crisp. 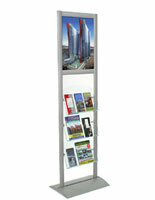 The catalog stands, also known as indoor racks, are constructed from brushed aluminum and feature a smooth silver finish. 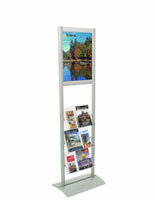 Your indoor displays are therefore resistant to rust! 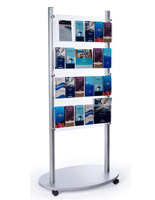 These catalog stands have a unique design, incorporating acrylic pockets that fit various types of literature. 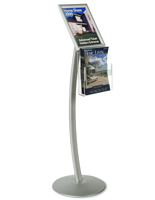 We even provide the catalog stands with (2) clear, plastic lenses to let you create a double-sided fixture when they include graphic holders. 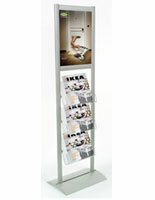 The plastic lenses protect your posters and keep them in place. 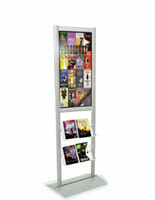 Many of these magazine displays are adjustable catalog stands as well. 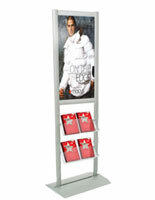 The literature racks, catalog stands feature moveable brackets you can slide up or down each aluminum side supports. 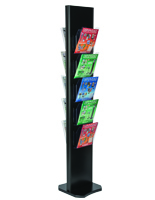 Most literature racks do not feature such a large space for advertisements. 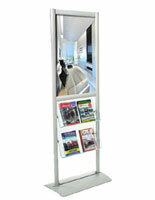 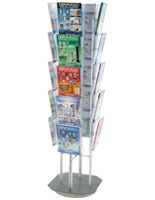 These catalog stands, such as our other periodical displays, will help generate more interest in your publications. 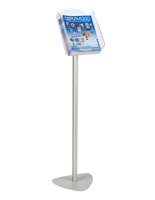 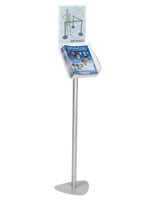 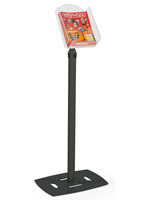 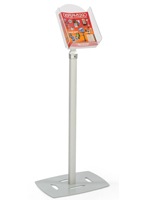 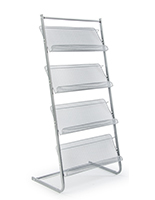 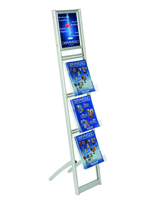 We sell catalog stands in a variety of options such as wood, wire, metal and acrylic. 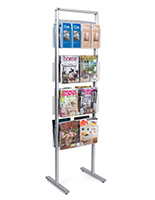 If you are looking for even more literature displaying options, check out our entire line of floor-standing magazine racks. 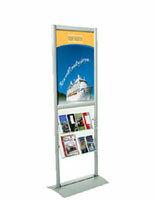 Displays2Go has been producing and distributing display systems since 1974. 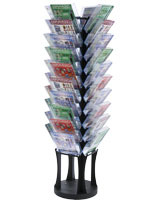 Our ever-expanding warehouse has thousands of unique products ready for instant shipping. 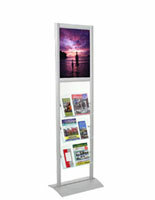 Thank you for shopping with us at Displays2Go!